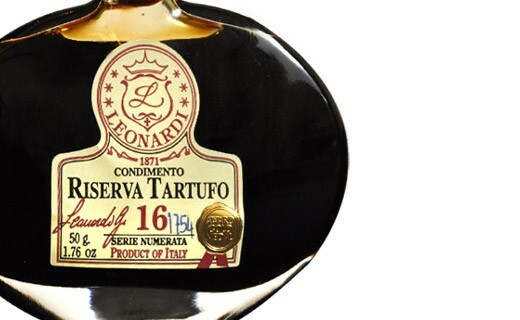 This balsamic condimento with truffle is exceptional. 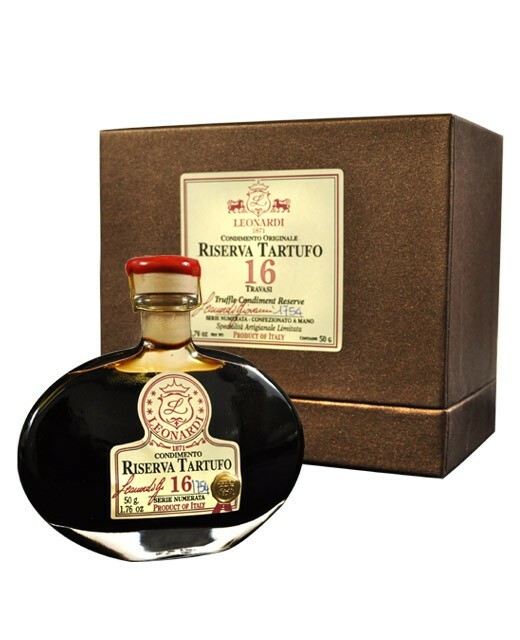 As if 16 years of aging in wooden barrels was not enough, this balsamic vinegar has been flavored by an infusion of white Alba truffle, the most precious of all truffles. A few drops of this precious condiment will be enough to sublimate your salads, meats, cheeses, eggs, risotto and even desserts. Sold in its box, each bottle is numbered. Grape must acetified flavored with white truffles from Alba. This balsamic condimento is recommended on meat, foie gras, fish, mashed potatoes and even desserts.